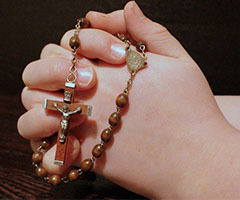 The Rosary is prayed before the weekday morning mass. Come. Join us in prayer.